Apple TV 4K is built to take full advantage of 4K HDR so you watching TV gives you a visual treat of higher quality. From the beginning to now it has got a lot smaller and a lot smarter—and it has a few tricks up its sleeve that you might not know. 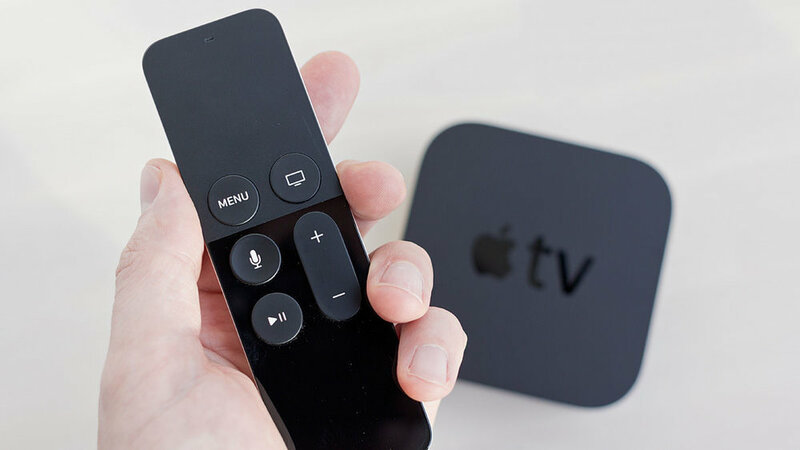 Here are some tips to improve your Apple TV experience. They all work with the latest, fourth-generation box. This smart device offers you the live content you care about most the news and sports. You can add apps; you can move them around to access your favorites more easily. You don’t need to settle with the layout that Apple TV offers you as default. You can use your top part of the remote for re-arranging the apps, tap and hold on any app to move the icon somewhere else on the screen. Tap again to confirm. To delete an app from the home screen entirely, tap and hold on it and then press Play/Pause to delete it. The most recent tvOS updates have enabled folders too. Just like on iOS, you can drag an icon on top of another icon to instantly create a folder, which will keep your apps more neatly organized. Drag the app icon out to the edge of the folder, and it will return to the home screen grid. In Settings, there are more options for changing your home screen’s appearance, including switching between a light and a dark interface mode and choosing from a list of available screensavers. The Touch Remote- Cleverer Than It Looks! If you find your Touch Remote too sensitive, or not sensitive enough, head to the Settings app then choose Remotes and Devices, then Touch Surface Tracking. You can check up on the remote’s battery level at the same time. You can double-tap the Home button to display all of your recent apps. 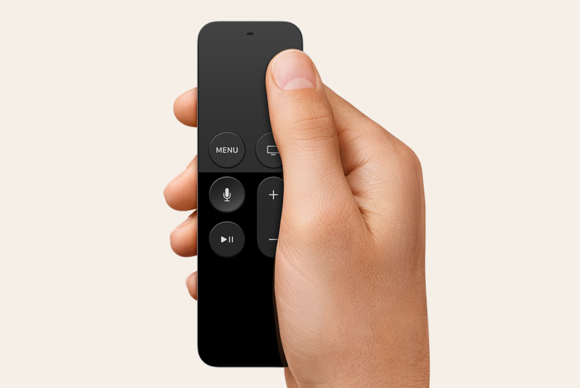 Within an app, if you scrub left or right on the touch-sensitive top half of the remote, it lets you go backward or forward in videos and audio tracks. 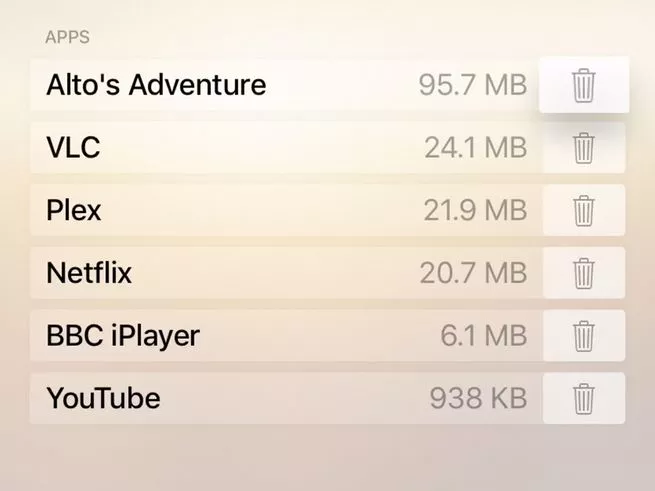 If you need to free up some storage, you can see which installed apps are eating up more space by going to Settings and then choosing General and Manage Storage. The next screen shows all the apps on your Apple TV, with the most significant culprit at the top. There’s a trash can right by each entry on the list—tap once on this icon, and you can delete the app and free up some space. You can always download the apps you are removing again. Your Apple TV has Bluetooth on board, so make the most of it. 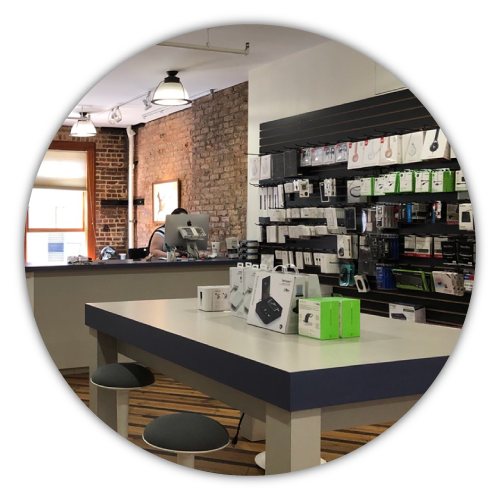 You might already realize you can boost the audio capabilities of your box with Bluetooth speakers or headphones, but you can connect other devices as well.You can connect two Bluetooth devices can be connected to your Apple TV at any one time. Head to Remotes and Devices from the Settings app, and then choose Bluetooth to pair devices, or to remove one device and make room for a new one. 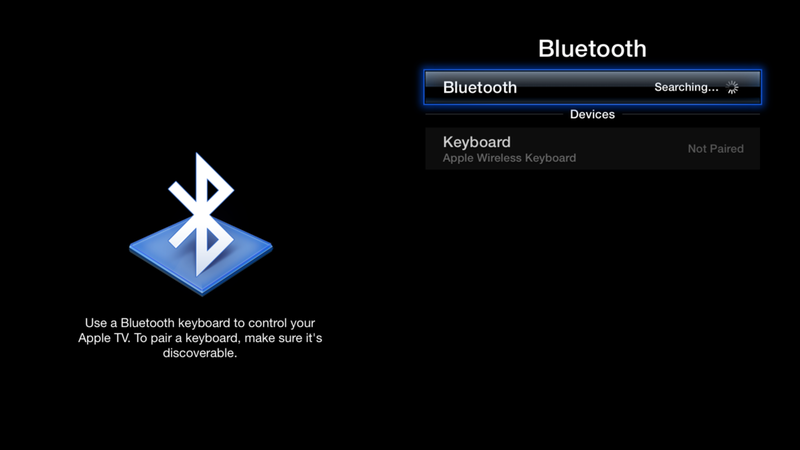 Use a Bluetooth keyboard to control your Apple TV. To pair a keyboard make sure it’s discoverable. No more typing to find exactly what you’re looking for. 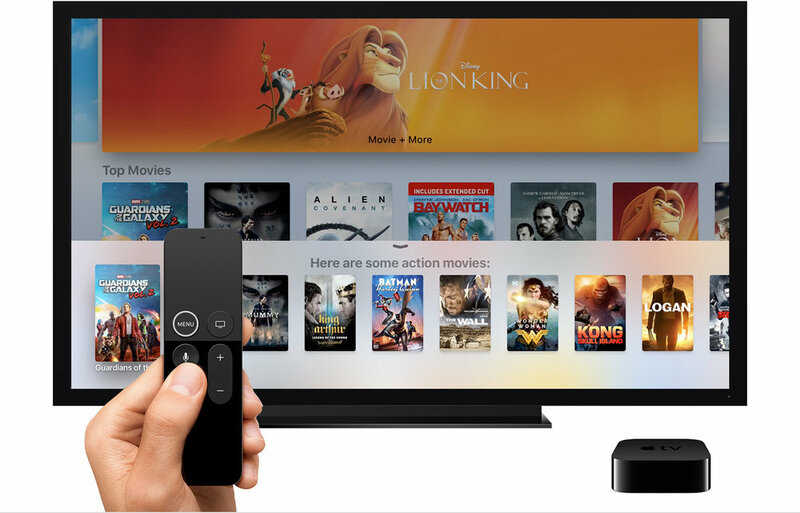 Siri has arrived on the Apple TV, so make use of the voice-controlled assistant by pressing and holding on the Siri button on the remote.Just ask Siri for a movie, show, genre, actor, or song you love. The Siri’s results pop up along the bottom of the screen most of the time, so they won’t interrupt what you’re doing. When watching movies and shows, you can say, “Forward or rewind ten minutes” to jump around, or ask, “Who stars in this?” to get a list of cast members to appear on the screen. 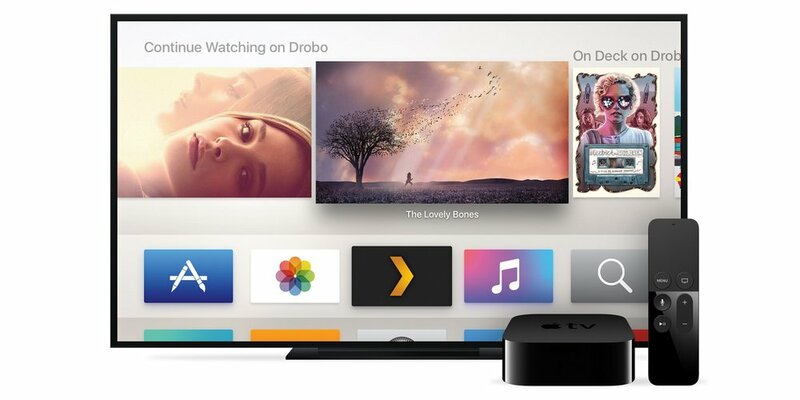 Certain apps can be helpful here, specifically Plex, which will stream audio, video, and photos from any computer on the same network straight to your Apple TV. Install Plex on your computer and also install the app on the Apple TV to get started. Plex has more information about setting up the app. VLC Media Player, already one of the most versatile media players for computers and phones. 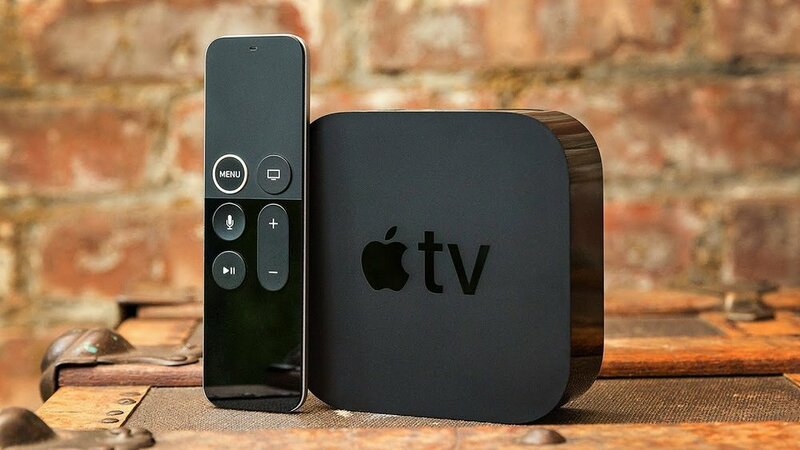 On the Apple TV, it provides support for streaming almost anything from your local network.